Not far from Gretna, LA, you will discover a dealer that provides car loans with excellent terms and low interest rates as well as an impressive inventory of new, used, and certified pre-owned vehicles. This same dealer maintains affordable pricing, has a seasoned sales team, provides financing, and even offers an on-site service department staffed by ASE-certified technicians. Talk about a full-service dealership. As for car loans, this dealer has long-term relationships with the best lending institutions. For that reason, it can help more people finance their dream vehicles. Although perfect credit ensures the lowest interest rates, the dealer works with consumers who have less-than-perfect credit, doing everything humanly possible to approve them for a loan. Beyond car loans, this kind of dealership has a fantastic inventory of vehicles. Whether you want to purchase a sedan for business or family transportation, an SUV for taking road trips, or a coupe with incredible speed, it can accommodate. Along with the 2018 and upcoming 2019 models, you will find a broad selection of used and certified pre-owned vehicles, all of which are safe, reliable, and competitively priced. Unfortunately, some people steer clear of a Porsche dealership thinking there is no way they can afford to purchase an automobile. However, one dealer a short distance from Gretna, LA, keeps its prices affordable. That means what you initially thought was an impossible dream can become a reality. With an excellent in-house finance department, you can drive off the lot in your shiny new vehicle. This same dealer near Gretna, LA, has an on-site service center. Although people who purchase automobiles from the dealership rely on it, anyone can bring their vehicle in for scheduled maintenance or repairs. ASE-certified technicians perform all the work, giving car owners complete peace of mind while driving. Even the sales staff is unique. These individuals possess tremendous knowledge about and experience with high-end and luxury automobiles. When purchasing a Porsche, you want the best help possible, which is what this dealership close to Gretna, LA, provides. Instead of backing you in a corner to purchase a vehicle, a professional salesperson will patiently answer your questions and provide information so you can make a well-educated decision. 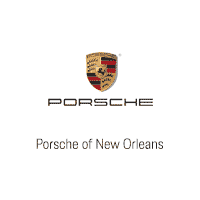 While you could purchase a vehicle from any dealership, Porsche of New Orleans promises you a positive experience from start to finish. We invite you to call or visit our Metairie location, only minutes from Gretna, LA.